I understand that a SMERA representative will contact me to complete the remaining formalities. I have read SMERA's terms & conditions and agree to the same. 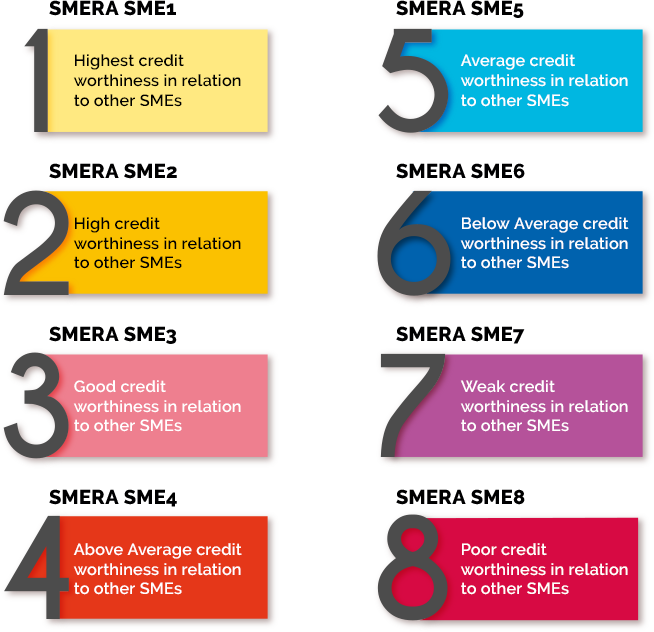 The Micro & Small Enterprises Rating is an independent, unbiased, and objective opinion on the credit-worthiness of the rated entity relative to other MSEs. 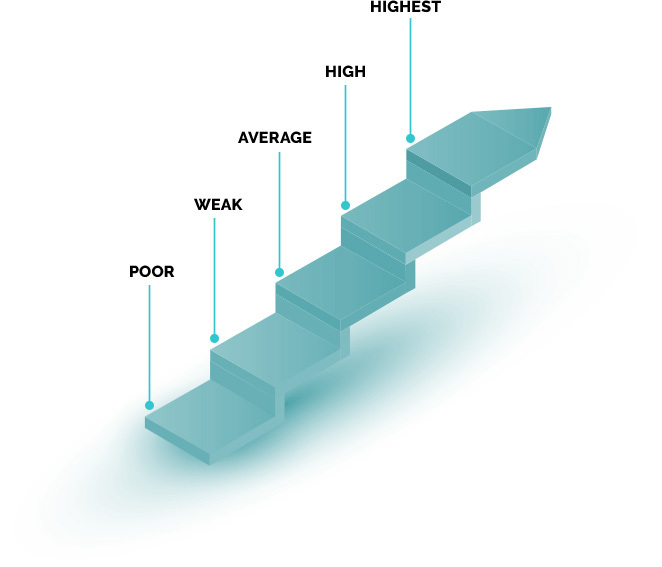 The report also provides levels of financial strength and operating performance of the rated entity. This assessment is arrived through a rigorous process of analysis of financials, inspection, interaction with management, and analysis of business & industry risk factors. Lenders and Institutional buyers depend on the Rating and the Rating Report, to take informed decisions before approving a loan or awarding a purchase order. Please do share your contact details below and we will share a sample report for this product. * The annual fee is exclusive of GST. What is a Micro, Small and a Medium Enterprise (MSME)? Who can avail of SMERA's MSE Rating services? How is an MSE Rating different from Bank Loan Rating (BLR)? How is a SMERA Rating a tool for improvement? A SMERA rating enables the MSE unit to have deeper understanding of the strengths, weaknesses and risk factors of its business. As part of the rating process, the MSE is benchmarked vis-a-vis other MSEs of the country, providing the MSE with inputs on areas of improvement. Thus, the rating exercise acts as a self-improvement tool. Why is a rating considered to be independent and unbiased? A rating agency has no interest beyond the rating fee that it charges for its rating service. To keep the rating opinion independent and unbiased, the rating fee is decided before the rating exercise commences and is paid in full (limited to 25% of the applicable rating fee wherever subsidy is available) by the enterprise in advance. The rating agency does not get involved in any advisory role or loan syndication with any lender or investor. Employees of a rating agency are prohibited from investing or trading in instruments issued by the entities rated by that agency. The rating is not assigned by an individual, but by a Rating Committee. Thus, the outcome of the exercise does not rest with any one individual. Can you give a few examples of how a rating benefited an MSE? A manufacturing enterprise from Ahmedabad, that caters to Chemical, Refinery, Pharmaceutical and Food Industry, demonstrated improvement in its capital structure and working capital management after taking cognizance of the areas of improvements mentioned in the SMERA Rating Report. The company was in operations for nine years and operated on low capital base. The company ploughed back profits into the business and improved its capital structure. Further, the company took note of the low current ratio and started improving its working capital management. The company reduced the working capital exposure and attained better working capital cycle. This resulted in improvement in current ratio to 1.99 times (FY2012-13) from 1.26 times (FY2004-05). The rating of the enterprise improved to 'Highest' from 'Above Average' category. This enabled the enterprise to negotiate a lower interest rate with its bank. A Coimbatore based enterprise which is into construction of industrial buildings, residential apartments and other civil works got an interest rate concession of 0.25% from its banker. In addition, having a SMERA Rating helped the client in getting adequate and timely credit. A technology firm in Hyderabad, got a term loan and working capital facility of Rs.58, 00,000 (Rupees Fifty Eight Lakh only) from a PSU bank after submitting the SMERA Rating Report. A manufacturing company from Faridabad, Haryana which is into manufacturing of steel and special alloy products had limited product range and operational capacities. The company catered only to domestic sales and hence was unable to meet the diversified needs of its customers. The concerns in the rating report were taken into consideration by the company and they scaled up its business and expanded the business volume to more than Rs.77 crore. This was a result of continuous addition to the production line, entering the overseas market and also catering to its domestic customers. What should an MSE do to get maximum benefits from the rating? Existing and prospective buyers: The rating includes a comment on the financial strength and operating performance. This provides comfort to buyers on the execution ability of the rated unit. Work on the areas of improvement: MSEs that are truly enterprising and have growth aspirations can rely on the Rating Report and work on the areas of improvement for sustainable, long term benefits. What are some of the good practices displayed by higher rated MSEs? Making debt repayment and paying statutory dues on time - A healthy track record of timely payment of debt and other statutory dues indicates financial discipline and overall compliance respectively. Maintaining high standards of disclosures and good quality book-keeping - The transparency and disclosure-levels adopted by an MSE demonstrates good governance. In addition, maintaining good book-keeping standards is indicative of the accounting quality. Avoiding excessive debt - An MSE should refrain from borrowing unnecessarily. Instead, managing the existing credit lines responsibly and judiciously is viewed positively in a rating exercise. Why should a rated entity renew its rating annually? Any enterprise needs to objectively and independently validate the gains and improvements achieved in its business over a period of time. An annual review of the rating will help MSEs to update the rating report with their current business and financial performance. This will be required by all counterparties to continue to extend the benefits. Ministry of MSME, through NSIC, has designed and developed a databank for MSMEs (www.msmedatabank.in). The entry of records in this database is validated collectively through Aadhar Number, Udyog Aadhaar Number and PAN. Only authorized personnel of institutions that are approved by or empanelled with NSIC can upload data and information pertaining to MSMEs. After the completion of the rating exercise, SMERA uploads the information about the MSMEs on this portal. Further, the data so uploaded can be accessed only by officials of the Ministry of MSME and NSIC. This is a one of its kind database that the Government of India is building that will provide authentic data and information on MSMEs to policy-makers. Over a period of time, the data will provide valuable insights on MSMEs and their challenges to policy-makers. How much time does a rating exercise take? The turnaround time for a rating exercise is around 8 to 10 days after the site inspection and receipt of all documents. What is the validity of a MSE Rating from SMERA? MSE Rating is valid for one year. Is an MSE rating monitored continuously or kept under surveillance? No. MSE Rating is one-time exercise. Will MSE ratings be displayed on SMERA's website and/or other publications? Yes, all accepted ratings will be displayed on SMERA's website and/or other publications. Unaccepted ratings are not published by SMERA. Will SMERA MSE Ratings replace the internal rating of the lending institution? No, SMERA MSE Ratings will not replace the internal ratings of the lending institution. However, SMERA MSE Ratings supplement the internal ratings. The MSE unit pays only 25% of the rating fee to SMERA. The remaining 75% of the rating fee is collected by SMERA directly from NSIC once the rating exercise is complete. Will MSEs be able to avail NSIC subsidy every year on renewal? As per current guidelines, the NSIC subsidy on rating fees can be availed only in the first year of the rating of the MSE unit. banking facilities from banks/ financial institutions? SMERA does not assist or arrange any banking facility with banks or financial institutions. SMERA's role is limited to providing an independent, unbiased rating opinion about the rated enterprise. No. MSE Rating does not automatically qualify the rated unit for other schemes (for e.g. : Financing for Procurement of Raw Material, Single point Registration for Government Purchase, and so on) offered by NSIC. NSIC runs several schemes for enhancing the competitiveness of the MSEs. These schemes are run independent of each other and the MSEs desirous of availing benefits of various schemes have to independently apply to NSIC for the same. SMERA New Credibility Enterprise Score reflects the ability of a new enterprise to be sustainable and its present state of creditworthiness. The Government of India has introduced many schemes to encourage development of new enterprises. India needs such enterprises for continuous and sustainable economic growth, and to overcome the challenges of large scale employment creation. India offers huge opportunities to such enterprises given the size and diversity of the country, new possibilities offered by technology, and India's competitive advantage over similar economies. However, these entities face tremendous challenges in raising funds on fair terms. Equity is expensive, and the VCs/PEs segment caters to a niche segment that covers very few sectors such as technology and ecommerce. As a result, a large number of new enterprises engaged in manufacturing, trading and exports languish simply due to lack of bank funding. Banks, on the other hand, stay shy of building relations with new enterprises due to lack of credible information and mutual trust. In India, penetration of banking services is very low. Most of the new enterprises lack reliable data of past banking conduct and payment track record for bankers to take lending decision confidently. And even if such data is available, one needs to ascertain if the new enterprises will be willing to pay. However, many a times, the information available is not substantial enough to conclude whether the enterprise will be able to sustain in the long run. SMERA New Enterprise Credibility Score is a unique solution created for the Indian market to address the issue of lending to new enterprises. We believe this will help take the Make-in-India movement to grassroot level. SMERA combines the power of data, analytics and its ability to physically verify the claims of the new enterprise through site visits to not only eliminate the risk of fraud but also help the lender understand the ability of the enterprise to withstand threats and take advantage of opportunities. SMERA New Enterprise Credibility Score is assigned on a 100-point scale on which 100 denotes the best score and reflects high confidence on the enterprise's ability to sustain and grow. 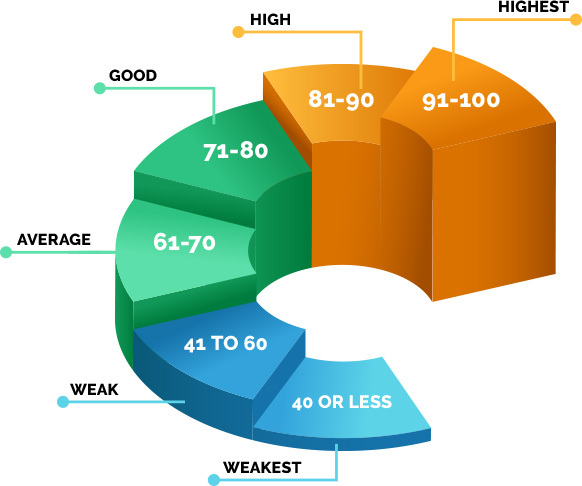 To assign the score, SMERA uses a unique scoring model tested with a large number of dataset. SMERA will also speak to the management of the company and conduct site visits. Credit Due Diligence for Micro & Small Enterprises is anindependent verification of primary details / material facts of a business entity including a physical site inspection. The Due Diligence exercisehelps the banks and financial institutions take an informed credit decision on the entity’s borrowing requirementsandfacilitates quickprocessing of loans. Credit Due Diligence is a comprehensive report highlighting key strengths and weaknesses of the entity includingbackground information, ownership and management profile, business and financial profile,industry overview etc.It helps stakeholders establishmanagement’s ability to run the business successfully in a dynamic environment.An MSE can use this report to build confidence and mutual trust amongst all its stakeholders mainly lenders, suppliers, vendors and customers. Assists lenders’ and investorsin taking an informed credit / investment decision. Accelerates the loan sanction process. A reliable source of all the relevant information regarding an investment decision for the banker. Brand building opportunities for MSE amongst its stakeholders through third party, independent verification.